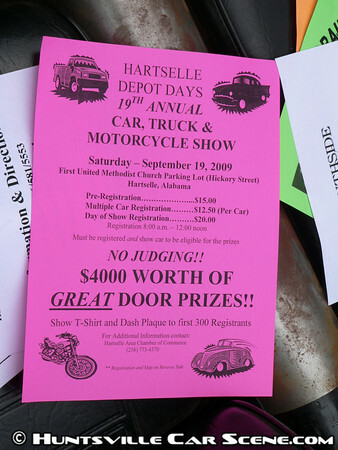 Pre-registration is $15, Multiple car registration is $12.50 per car. Registration day of the show is $20 and ends at noon. End time of show is a guess. I'm sure it will be when all the door prizes are gone or the heat gets to us all, whichever comes first. Registration includes a show t-shirt and dash plaque to the first 300 registrants. 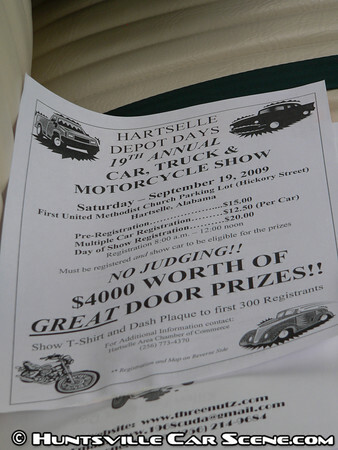 $4000 worth of door prizes will be given to vehicles that are registered and show their car on the day of the event. This is not a judged event.